This Privacy Statement has been adopted by ECMI MANAGEMENT INC., and all of its associated and related companies, (referred to collectively as “Empire”). At Empire, your privacy is very important to us. We want you to feel secure about any private information you provide to us. As part of our ongoing effort to keep you informed about our privacy practices, we have prepared this policy to inform you about Empire’s commitment to ensuring that the Personal Information obtained during the course of our activities remains accurate and confidential. The provision of Personal Information to Empire means that the person concerned agrees and consents that we may collect, use and disclose their Personal Information in accordance with this Policy. In addition, where appropriate, specific authorizations or consents may be obtained from time to time. In most cases and subject to legal and contractual restrictions, an individual is free to refuse or withdraw his or her consent at any time upon reasonable, advance notice. It should be noted that certain services can only be offered if a person provides Personal Information to Empire. Consequently, if an individual chooses not provide us with any required Personal Information, we may not be able to offer the services requested. We will inform you of the consequences of the withdrawal of consent. We consider “Personal Information” to mean any information, recorded in any form, about an identified individual or an individual whose identity may be inferred or determined from such information, other than business contact information (e.g. name, title, business address). Empire endeavours to ensure that any Personal Information provided and in its possession is as accurate, current and complete as necessary for the purposes for which we use that information. If we become aware that Personal Information is inaccurate, incomplete or out of date, Empire will revise the Personal Information and, if necessary, use its best efforts to inform third parties which were provided with inaccurate information so that those third parties may also correct their records. Your personal information is retained only as long as we need it to effectively provide products and services to you, and for a reasonable length of time thereafter, in case we need to complete obligations to you, or meet any potential legal and/or government requirements. Empire shall use care when storing or destroying your personal information in order to prevent unauthorized access. Knowing you better helps us understand your needs ultimately providing you with the service you expect. Empire only collects, uses and discloses Personal Information for purposes that would be considered reasonable in the circumstances and only such information as is required for the purposes of providing products, services or information to customers. We use only fair and lawful methods to collect Personal Information. Our use of Personal Information is limited to the purposes described in this Policy and Empire does not sell, trade, barter, exchange or disclose for consideration any Personal Information it has obtained. Empire also does not provide Personal Information to any non-affiliated company for marketing or solicitation purposes unless you have given your consent to such use and disclosure. iv A corporate re-organization of Empire or any corporation owned by Empire. In the event sensitive Personal Information is provided to Empire, we will not disclose such Personal Information unless it is required in order to provide a customer with products or services. Where Empire discloses Personal Information to organizations that perform services on its behalf, we will require those service providers to use such information solely for the purposes of providing services to the person concerned or Empire and to have appropriate safeguards for the protection of that Personal Information. Where Personal Information may be subject to transfer to another organization in contemplation of a merger, sale of Empire assets or Empire business units or change of ownership of all or part of Empire, we will do this only if the parties have entered into an agreement under which the collection, use and disclosure of the information (including any Personal Information) is restricted to those purposes that relate to the business transaction, including a determination whether or not to proceed with the business transaction, and is to be used by the parties to carry out and complete the business transaction. Where obliged or permitted to disclose information without consent, Empire will not disclose more information than is required. Unless permitted by law, no Personal Information is collected, without first obtaining the consent of the individual concerned to the collection, use and disclosure of that information. However, we may seek consent to use and disclose Personal Information after it has been collected in those cases where Empire wishes to use the information for a purpose not identified in this Privacy Statement or not previously identified or for which the individual concerned has not previously consented. Empire permits the reasonable right of access and review of Personal Information held by us about an individual and will endeavour to provide the information in question within a reasonable time and no later than 30 days following the request. To guard against fraudulent requests for access, we may require sufficient information to allow us to confirm that the person making the request is authorized to do so before granting access or making corrections. We will provide information from our records in a form that is easy to understand. Empire reserves the right not to change any Personal Information but will append any alternative text the individual concerned believes to be appropriate. May be restricted under applicable legislation. Empire will not respond to repetitious or vexatious requests for access and in making such a determination, we will consider such factors as the frequency with which information is updated, the purpose for which the information is used, and the nature of the information. Empire will not charge you for verifying or correcting your information, however, to the extent permitted by applicable law, there may be a minimal charge imposed if you need a copy of records. As you browse Empire’s websites, advertising cookies will be placed on your computer so that we can understand what you are interested in. Our display advertising partners then enable us to present you with retargeting advertising on other sites based on your previous interaction with Empire’s website. The techniques our partners employ do not collect personal information such as your name, email address, postal address or telephone number. You can manage your cookie settings within your browsers configuration. 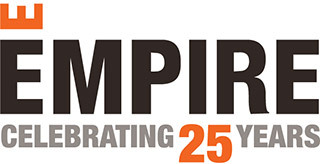 Updated versions of this Privacy Statement will be posted on Empire’s website at www.empirecommunities.com, or you can direct any queries about this Privacy Statement to the Privacy Officer at Empire Communities at the telephone, email address or mailing address listed below. If you have a complaint related to this Privacy Statement or any of our procedures, contact our Privacy Officer. If your complaint is justified, we will take the steps necessary to resolve the issue, including amending our Policy and practices, if necessary. If we are not able to resolve your concern, or if you have any concerns about Empire’s Privacy Statement and procedures, you may contact the Office of the Privacy Commissioner of Canada or, if applicable, the provincial Privacy Commissioner. Empire’s Privacy Officer will provide you with this contact information upon request.